Cover image of B.A.P's single album which was announced to be released on August 8 was published. 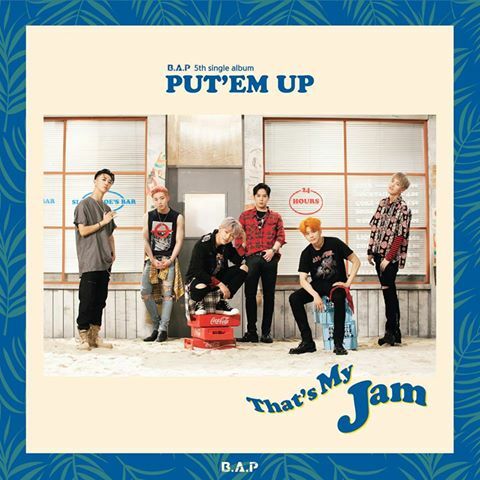 On August 1, B.A.P's 5th single album 'PUT'EM UP's cover image was published through Agency TS Entertainment's official channel. In the pubished image, the green palm trees on the blue and cobalt background, the wavy shape of the phrase 'That's My Jam' are creating a harmony with a cool summer feel. Also, the even more upgraded visuals of the members and their fancy hair colors captivate our eyes. "This 5th single album 'PUT'EM UP's title song 'That's My Jam' is a party song that will cool down the heat of this summer with lyrics that will make you enjoy a cool summer night in combination with EDM sound." says TSEnt about the new title song. "Especially, in order to make more matured music, Bang Yongguk collaborated with a foreign composer and created a well-made song". 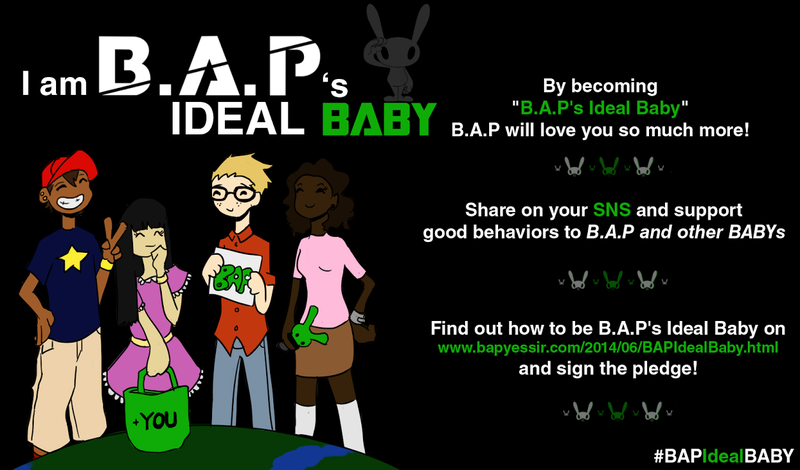 Apparently B.A.P has self-confidence about this party song. B.A.P will make a finale for their world tour during which they performed 32 shows in 16 countries, with ‘B.A.P LIVE ON EARTH 2016 WORLD TOUR FINALE TRUE AWAKE! !’ in SK Olympic Handball Gymnasium on August 6 and 7. They will also perform their new song ‘That’s My Jam’ for the first time.